Our client currently has an opportunity for a Sr. Regulatory Specialist who will be responsible for the on-time filing of high-quality regulatory submissions and for post-approval maintenance of regulatory dossiers. Interacts with project teams and regulatory agencies in relation to submissions and other relevant topics. Trains new regulatory specialists. You will report to a Manager of Regulatory Affairs. This position has no direct reports. Working effectively in a team environment to ensure not only individual tasks are accomplished, but that team and department objectives are achieved. At minimum, a Bachelor Degree in a scientific discipline and a minimum of 4 years’ experience in pharmaceutical Regulatory Affairs. Experience in preparing and filing complete A/NDA' s, Supplements, Amendments and Annual Reports to FDA. Thorough understanding of the CFR, FDA/ICH guidelines and cGMP' s as they pertain to pharmaceuticals. 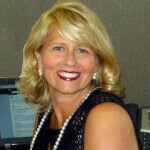 Kathleen has been providing Human Resources and Recruiting solutions to a wide range of organizations for over 20 years. Her areas of expertise include talent sourcing and acquisition, HR planning, employee relations, and performance management. She is credited with developing strategic partnerships to quickly identify and recruit talent; leading corporate initiatives to grow revenues and reduce expenditures; and creating effective programs to train, retain and reward employees.